Enhance the ability of the copy and paste. 1. To preserve the history of the pasteboard in the background. Works in the background for 10 minutes. 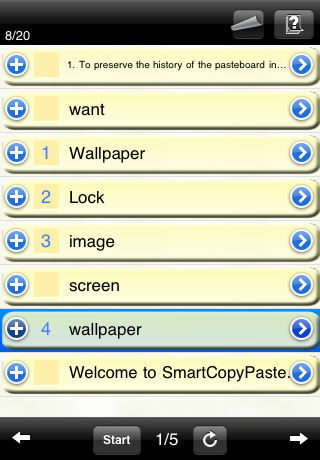 2.You can paste multiple text continuously. Set the order you want to paste in advance. There is no need to switch applications.